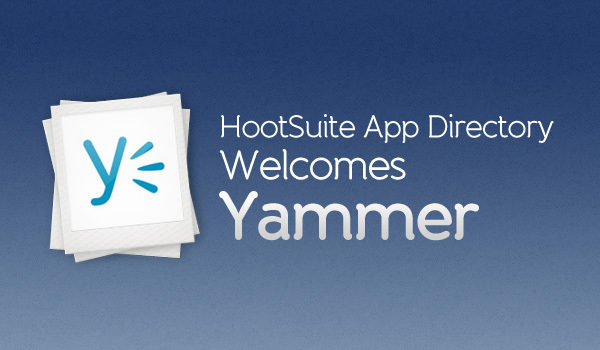 HootSuite is pleased to introduce a new integration with Yammer the leading provider of Enterprise Social Networks to the HootSuite App Directory. With over 5 million verified corporate users, including employees of more than 85% of the Fortune 500 – companies choose Yammer to securely share content across departments, geographies and more. 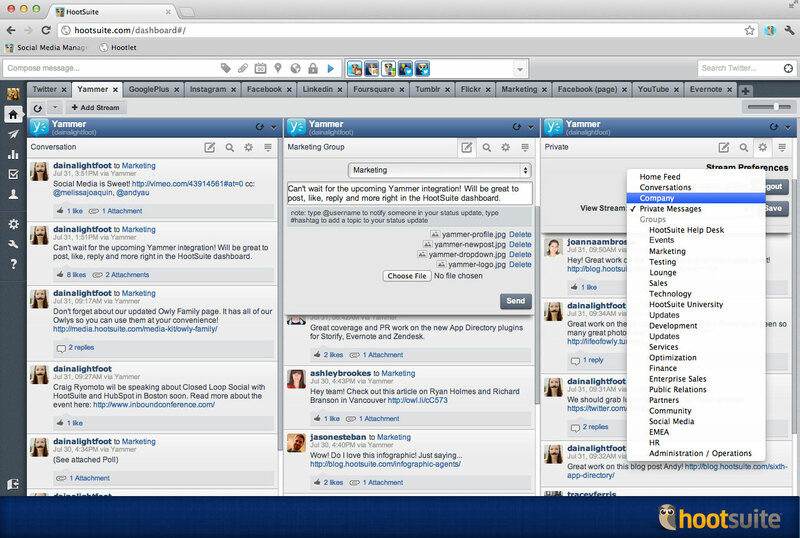 Many organizations choose Yammer when looking to work within a private, secure social network. The platform empowers employees to be more productive and successful, allowing them to easily discuss ideas, make smarter decisions faster, and self-organize into teams to take on any business challenge. Users who spend their time listening and engaging with their audience in HootSuite, and find themselves leaving the dashboard to collaborate with their colleagues on Yammer, can now pull these efforts into one place, saving them time and keystrokes. Social Media is no longer the task of one department or team, it’s recognized by all customer-centric business units to be an essential tool, which means collaboration is essential. 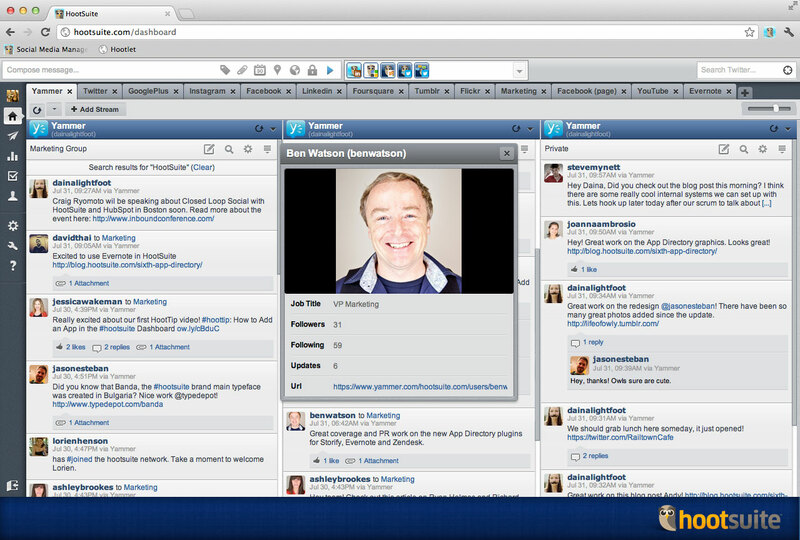 This integration seeks to help social businesses communicate more efficiently through HootSuite. Users can now benefit from the convenience of having the advantage of HootSuite’s advanced tools for social media engagement, collaboration, security and measurement alongside their internal Yammer streams. Like many HootSuite App Directory additions, the Yammer integration began as a request on our Feedback Channel and was the 6th highest suggested idea. Let us know what you’d like to see next by chiming in with your ideas.